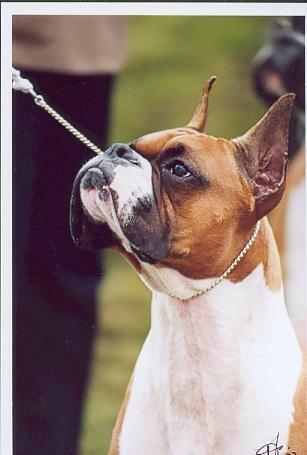 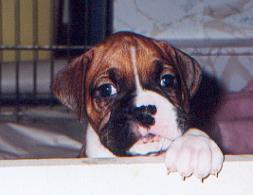 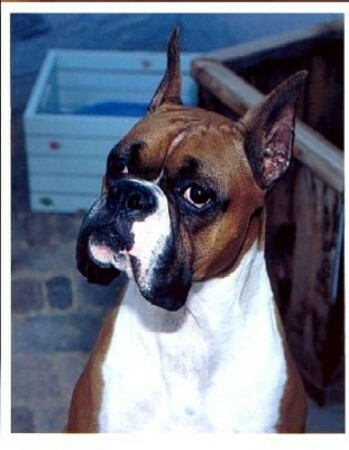 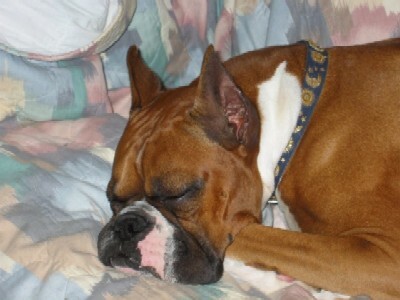 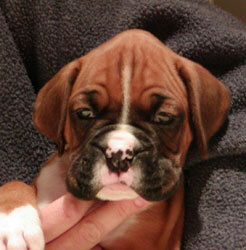 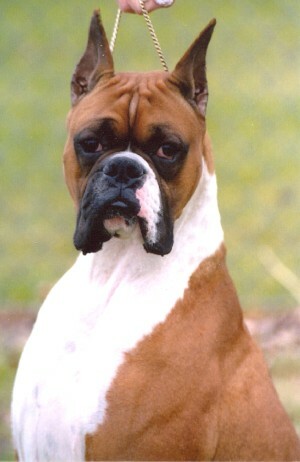 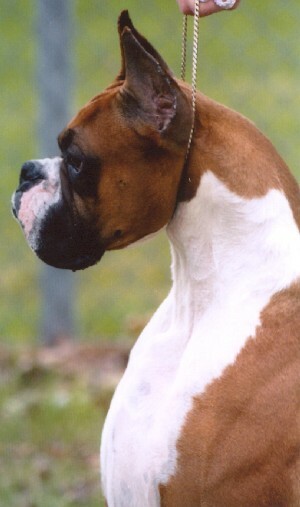 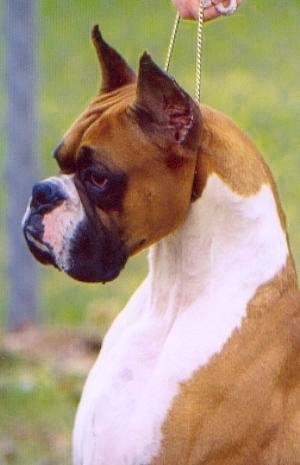 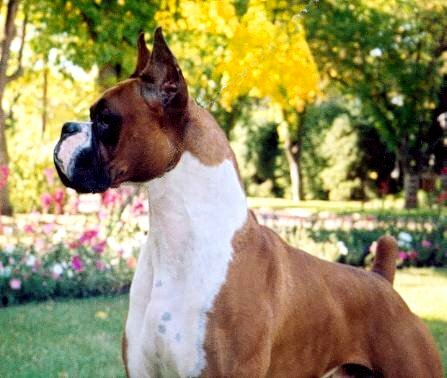 "Dash Riprock" is included on breeder judge Judy Horton's World Wide Boxer website as a beautiful example for head type (bottom right) and head profile (top right silhouette under "North American"). 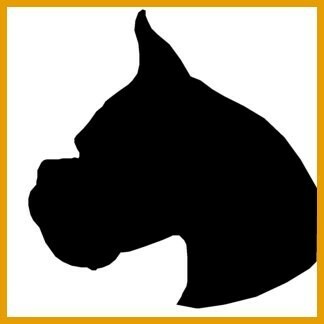 * Please ask for permission if you would like to use this graphic. 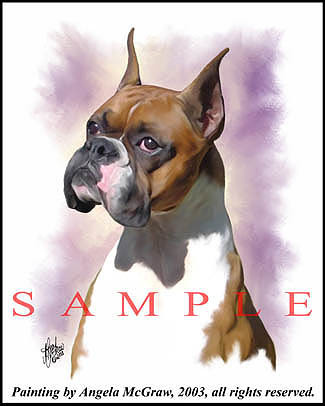 "the STANDARD in Dog Art"
Return to Head Study page of Dash Riprock's son : " Mr. Spock"